When using a personal vehicle for business mileage your company can reimburse you at HMRC approved mileage rates. This guide explains how inniAccounts makes this easy and how we keep track for you. HMRC specify mileage rates for different vehicles when a personally owned vehicle is used for business purposes. Mileage rates must be used instead of claiming for fuel, insurance, depreciation etc. As part of your business records you must maintain, HMRC require you to keep a record of business mileage when claims are made. inniAccounts takes care of this for you and helps ensure that you are reimbursed for all your business travel. Only allowable expenses can be claimed which are those that are necessary for the conduct of business and, when the contract they relate to is not caught by IR35 legislation. The mileage log is accessed through the Quick Entry area by clicking the mileage log button under the time sheet. Vehicle engine & fuel – If you are using Standard VAT and have selected car or motorbike you will also need to select what engine and fuel type it uses. If your client has agreed to pick up the cost of the travel, inniAccounts makes it really easy for you charge the expense when you next invoice them. You make an entry in the mileage log when you have used your own vehicle to ensure that you personally are reimbursed for the business use of your vehicle. When you make the entry, by ticking the bill to client checkbox and selecting the contract to invoice from the pull down menu, you will be able to include the journey on an invoice. If you enter a rate (£/mile) you can charge your client at a different rate to the defined HMRC rates. If you are billing a client for mileage where you have used your own vehicle, you only need to make one entry in your mileage log. The entry will be used to reimburse you on your payslip and also to allow you to invoice your client for the journey. We have a great feature to save you time that allows you to quickly make entries in the mileage log. If you regularly travel from your home office to a clients site, you can enter the details for that journey in your contract settings. The information to capture in the mileage defaults section is; journey from, to, return mileage and vehicle. As you maintain your timesheet in the Quick Entry area, you can click the checkbox for default mileage on the days you made that journey. When you save your timesheet, entries will automatically be made in your mileage log ready for reimbursement on your next payslip. Any entries made in the mileage log that have not been repaid will be included on the next payslip. The mileage claims will default to the main employee however they can be reimbursed to a different employee if required. To do this, when you create the payslips press the repay mileage button on the main employee and uncheck the journeys to repay someone else. You can then edit another employees payslip and include the mileage claims on their payslip. is travelling from home to office also a deductible expense, or only from office to clients? In certain circumstances mileage for travelling from your home to a workplace can be claimed however this only applies if you are working at a ‘temporary’ workplace and you are covered by the 24 month rule. That is, if you are not in permanent employment and your contract is not longer than 24 months then travelling expenses may be claimed. As soon as you are aware the contract will exceed 24 months you may no longer claim travelling expenses. Please be aware this is a complicated subject so you should take advice regarding your own particular situation before claiming any expenses. Hi, if a client is to reimburse mileage on an invoice, is it allowable to claim same as expenses again ? If you have used your personal car for business then your company should pay you for the mileage, which is then recorded as an expense. 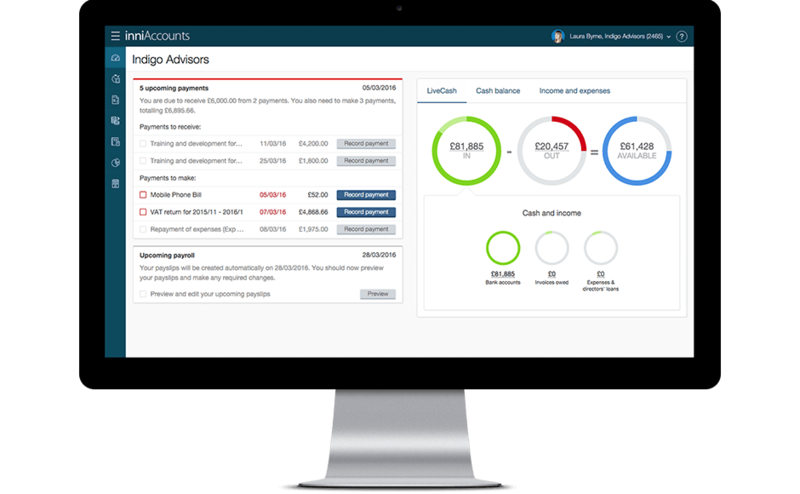 This can then be invoiced to your client and is recorded as sales income. First, this is a really great resource so thank you very much! Here is my question: I have been driving quite a bit while setting p my new business in order to meet suppliers and packaging agencies to prep for the launch. Can these mileages also be claimed or only client related ones? Hi Mathilde. You can claim mileage for any journeys which relate to your business therefore this includes meetings with suppliers and packaging agencies.